Email agent about 274 Wellington Street, SOUTH LAUNCESTON TAS 7249. Being offered to the market for only the third time in 82 years, here is a rare opportunity to purchase Wanstead, one of South Launceston’s art deco landmarks. 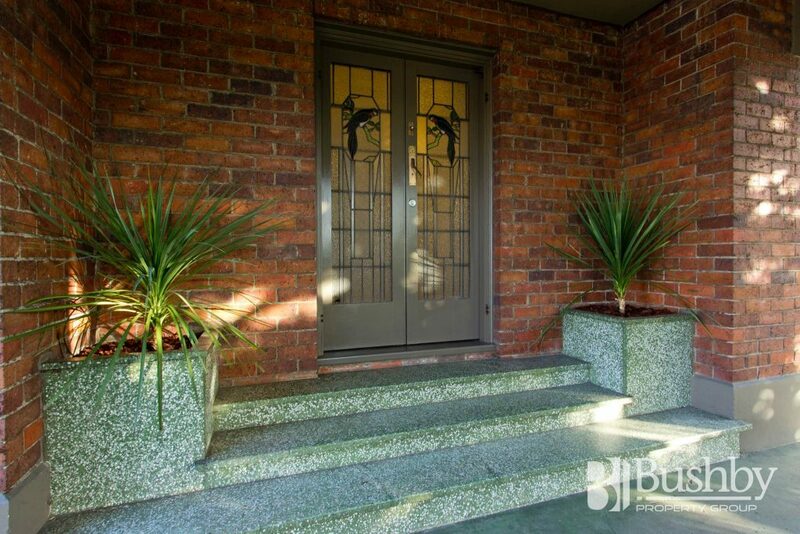 Originally built in the mid 1930’s, this impeccably presented home has only seen three owners and has retained many of its original art deco features. The current owners have lovingly restored the property over a number of years to make it shine, as it would have the day it was built. 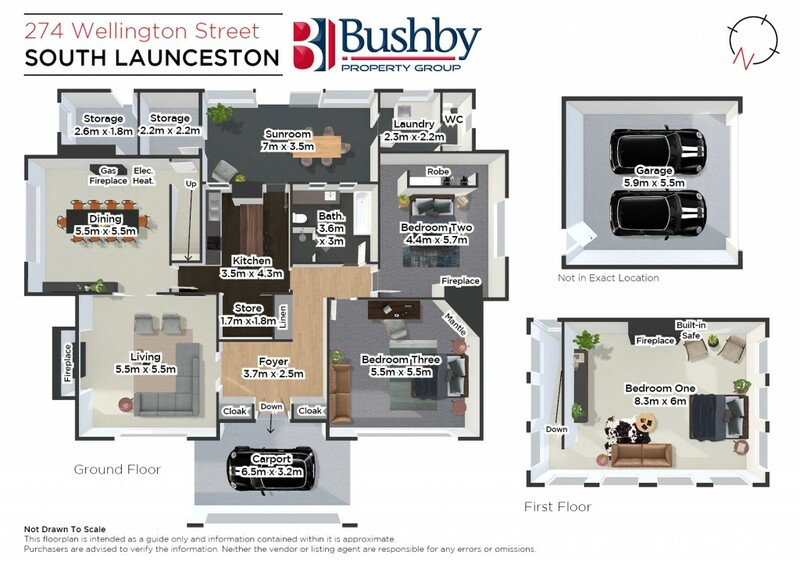 With an expected rental return of $600 per week, the home would make an ideal fully furnished investment, being located close to the Launceston CBD, hospital, shopping centre and eateries. A double brick garage as well as off street parking for three vehicles, provides plenty of room and space. In fact a huge amount of space, with not one but two generously sized living rooms as well as an enclosed entertaining area adjoining the kitchen. On arrival via a double entry driveway to a covered portico area, the stunning art deco leadlight double doors lead to the entry foyer with freshly polished original floor boards and matching his and hers cloak cupboards. Upon entering, you are immediately pleasantly surprised at just how whisper quiet the property is, with double brick construction and double glazing. This private and welcoming home was built for entertaining at a grand scale and oozes the charms of era’s past. Take in the beautifully restored timber work, original art deco carpet, stepped ceilings and feature mirror over the exposed brick fireplace with mains connected gas heating, full width timber mantels and original fittings throughout. The kitchen has been upgraded with European appliances, custom joinery, Black Japan stained oak timber floors and large central bench, perfect for the entertainer. Options have been left open to incorporate a walk-in pantry and provision for a dishwasher. The bathroom retains its original footprint with single toilet, deep bath and restored shower room with original floor to ceiling tiles. Finishes include a Black Japan stained custom made vanity and European floor coverings for underfoot softness and warmth. The two downstairs bedrooms located off the polished timber floored hallway feature new carpets, restored timber details and open fire places. The master bedroom is of a size that has to be experienced with room for its own sitting area, desk and the potential for built-in storage. The second bedroom features a fashionable walk-in robe with premium window furnishings offering privacy whilst still allowing delightful filtered garden views. The enormous upstairs bedroom has amazing views of Launceston whilst offering privacy through thoughtful placement of windows. A huge open fire place with hidden safe is a reminder of the history on offer with this grand home. With such generous proportions, this room certainly has the potential to be further updated to a master suite with ensuite (STCA), or as a substantial home office or games room large enough for a king-sized billiard table and bar! The laundry features a handy second toilet and the original firewood room (accessed internally) is now utilised as storage and would also make a great wine cellar! A private courtyard adjoins this area and enjoys a wall of greenery along with towering Silver Birch trees providing summer shade for weekend BBQ’s. The rear yard leads to the garage accessed off Westbury Road with an additional storage shed at the back of the house, originally used for gun storage (complete with original rifle racks) … oh if these walls could talk! Certainly a rare opportunity to invest in an iconic landmark in South Launceston.